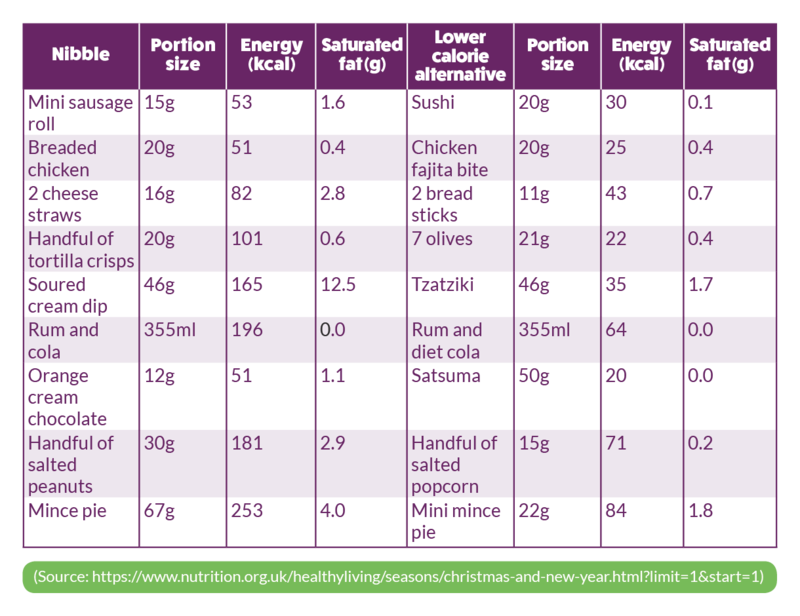 Christmas Calories – Make sure you can enjoy all your Christmas favourites… but still eat well! We all know that Christmas is the time of year to relax and unwind and spend some time with the people you love, enjoying some nice little treats. Many might say that the food is a very important part of Christmas. We’ve put together a short list of calorie totals that might catch you out this time of year, as well as including some simple ways to combat those extra little indulgences over the festive period. Watch out for those little extra treats! Christmas is not Christmas without a nice tin of biscuits or sweet little treats to share amongst family and friends. 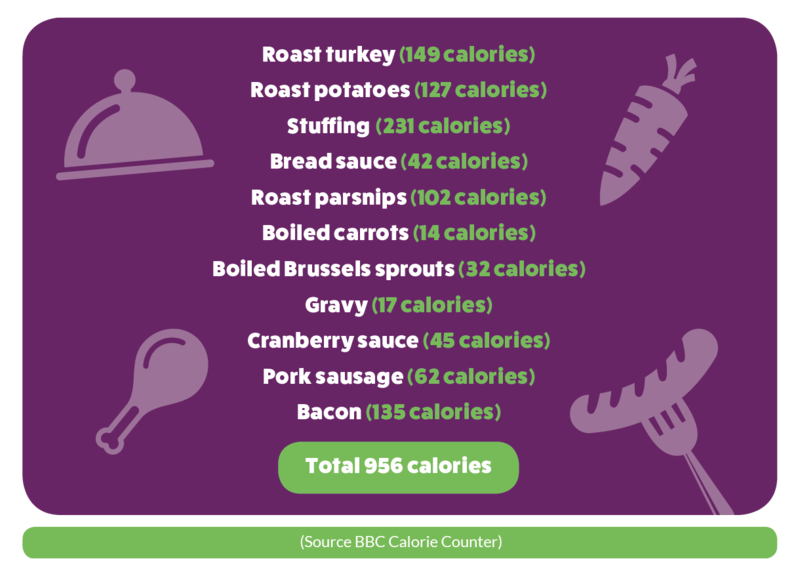 We’ve devised a short list of calorie amounts to help you stay on top of your eating habits, with some handy little swaps to help you make the most of Christmas without missing out on those favourite treats. Did you know – the average selection box contains over one thousand calories? For more guidance on food calorie content, check out the calorie counter on the NHS website. Watching your intake doesn’t mean you have to go without all of your Christmas favourites. 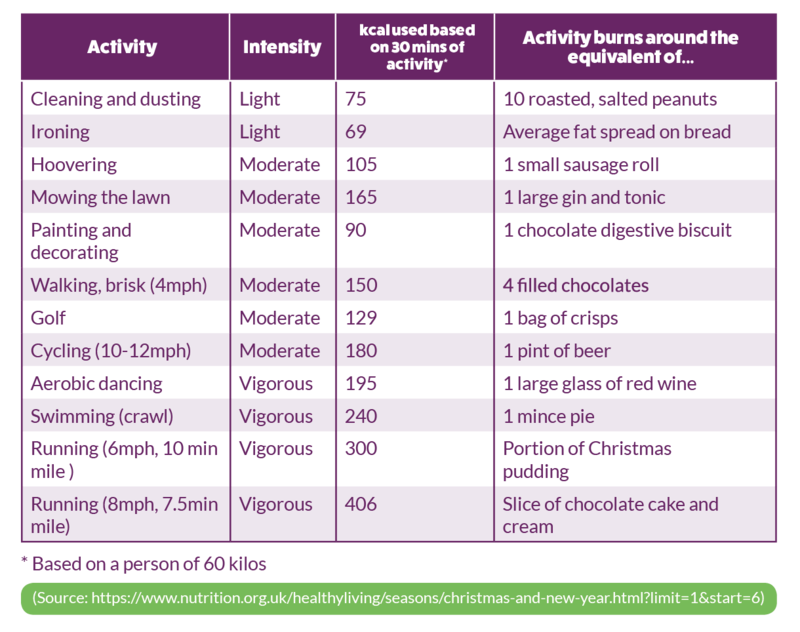 Check out a few simple things you can change to still enjoy your Christmas dinner, without eating excessive amounts of calories. Swap your brandy butter sauce for a low-fat alternative custard. People like to enjoy their favourite tipple this time of year, which can often be forgotten added calories. Here’s a little guidance on the average calorie values of some of the favourite tipples for Christmas. Take these three wise steps - Eat, Pace, Plan - to ensure you have great Christmas and New Year celebrations. Find out more here. Croydon is a SUGAR SMART borough. People are being encouraged to get involved by finding out about the risks to their health of having too much added sugar in their daily diet. To offset those potential extra calories, check out some every day tasks you could be doing, which could even just be jobs around the house! Instead of sleeping off the Christmas Dinner, why not go for a walk in one of Croydon’s green spaces? Everything in moderation and don’t forget to enjoy yourself!